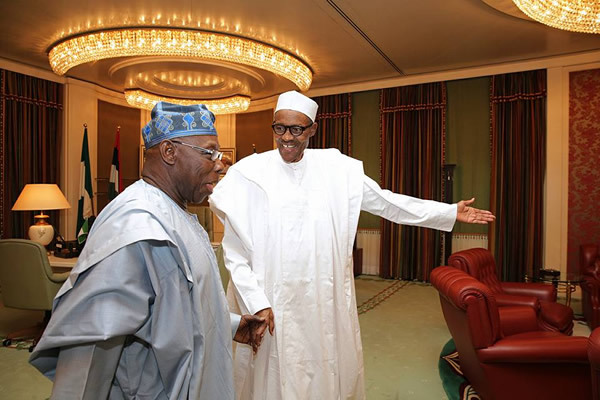 Buhari Shades His Senior Officer, Obasanjo? 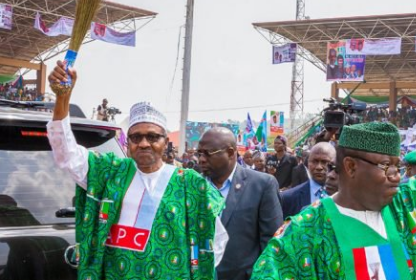 President Muhammadu Buhari says he is only seeking a second term — not a third term like some people, a statement that is believed to be pointing in the direction of the man who helped him become president after several failed attempt - former president Olusegun Obasanjo, PhD. Speaking in the Ondo state capital, Akure, on Tuesday at a political event, Buhari took a jab at Obasanjo without mentioning his name. “We have just finished one term and are seeking a second one, and after that, the constitution doesn’t permit anymore. There are some who tried looking for more but they did not succeed. We should learn from their mistakes,” Buhari was quoted as saying. In 2006/2007, there was attempt to amend the constitution. A bill was sponsored at the national assembly to extend term limits for the President and Governors by another four years, but the lawmakers did not ratify the bill. Obasanjo, who supported Buhari in 2015, said his performance is below expectation and is currently backing Atiku Abubakar of the PDP, to unseat Buhari as president.